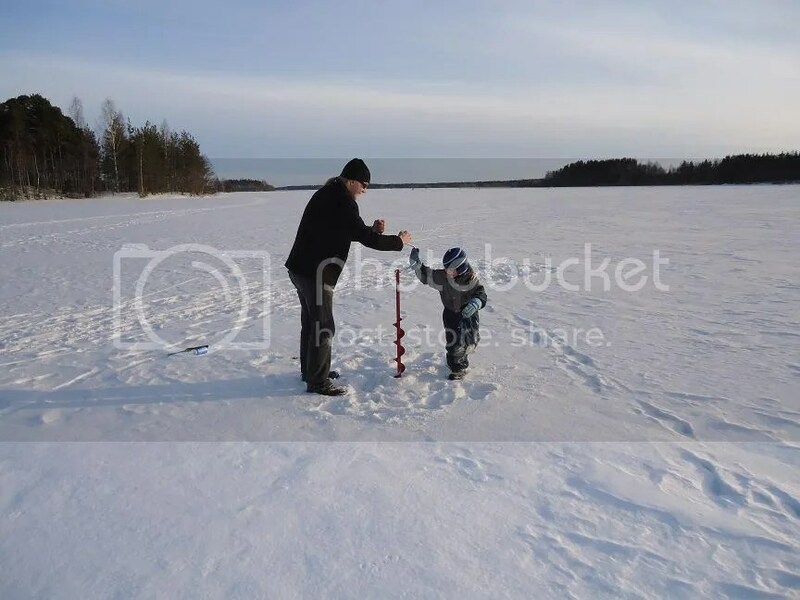 I am happy to report that the Woodsfamily has arrived at our new home in eastern Finland! Actually, we’ve been here almost a week now, but haven’t had Internet access (other than via phone) until today. 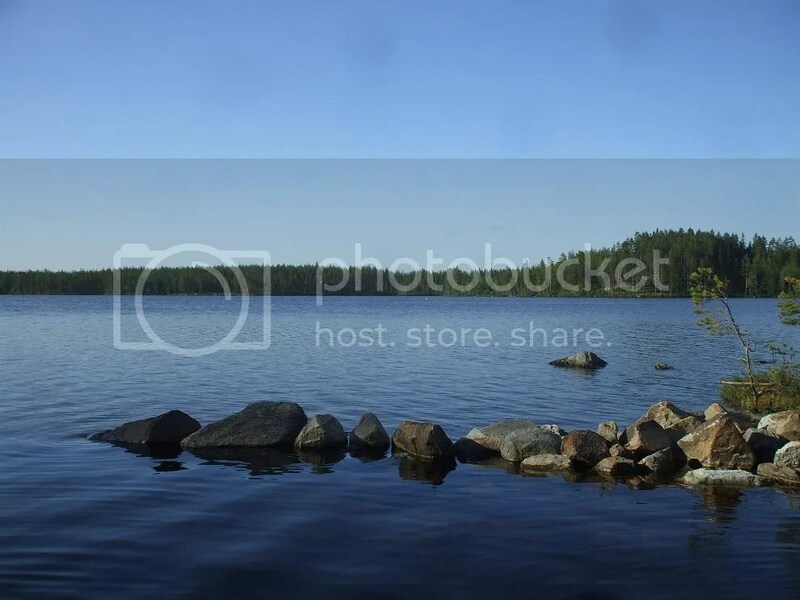 Most of the major work involved with moving and setting up is behind us, so we can start turning our attention toward enjoying life in our new area, which also happens to be our old area. 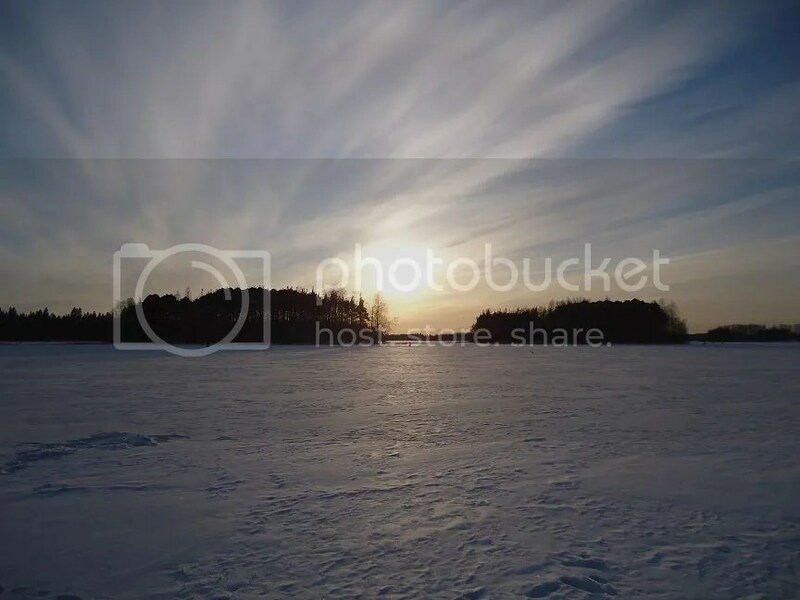 What I mean by this is that we have returned to the incredible maze of water, land and islands of the lake district of central/eastern Finland where we lived before our short stint in the Helsinki region. 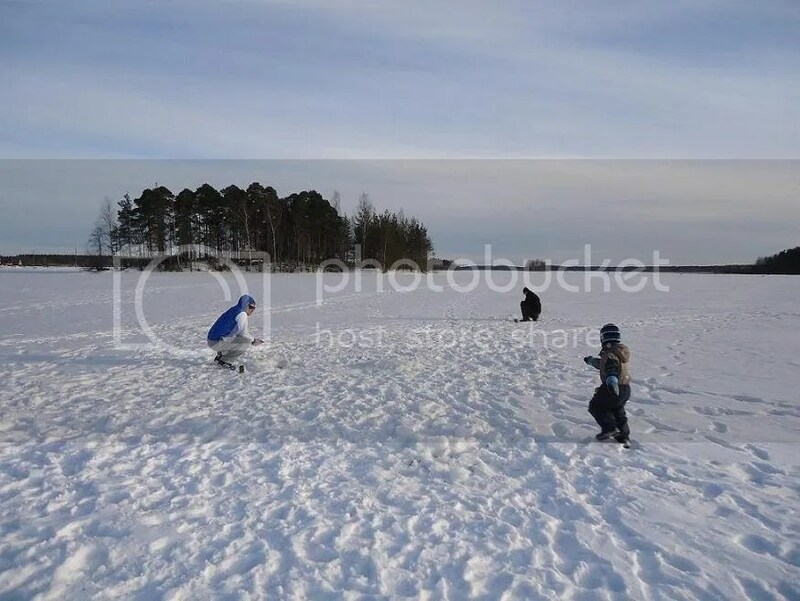 What’s interesting is that, in relocating several hundred kilometers/miles to the north, we’ve gone “back in time” in terms of the progression of the seasons. It’s colder here, there’s still some snow lying around and there are fewer signs of spring in comparison to the warmer southern coast. So we are now “reliving” several weeks of late winter/early spring as the winter recedes to the north. Despite being super busy with both work and moving-related stuff, I have managed to find a few minutes here and there to work on my latest project, a vintage puukko knife restoration. 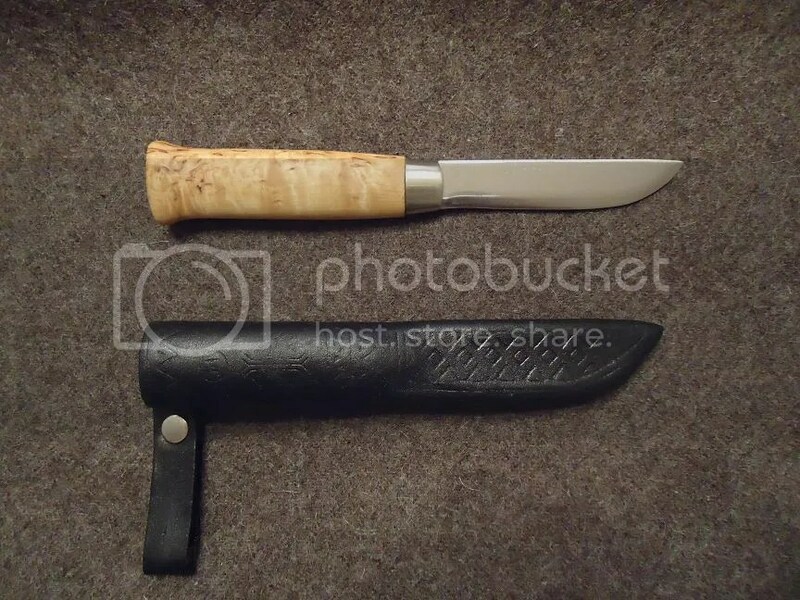 I picked up the 70s-era knife recently at a consignment shop for €18/$23.50, thinking it would be a perfect small companion to the leuku knife I restored last year. 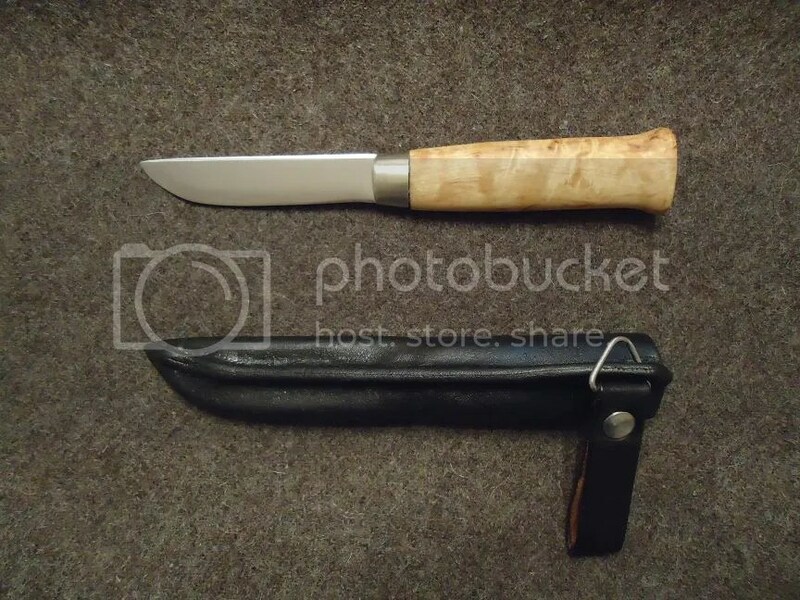 The handle wood is curly birch, the bolster is brass and the blade is, I believe, carbon steel and 8.5 cm/3.5 inches in length. As you can see in the “before” shots, the knife had seen better days! 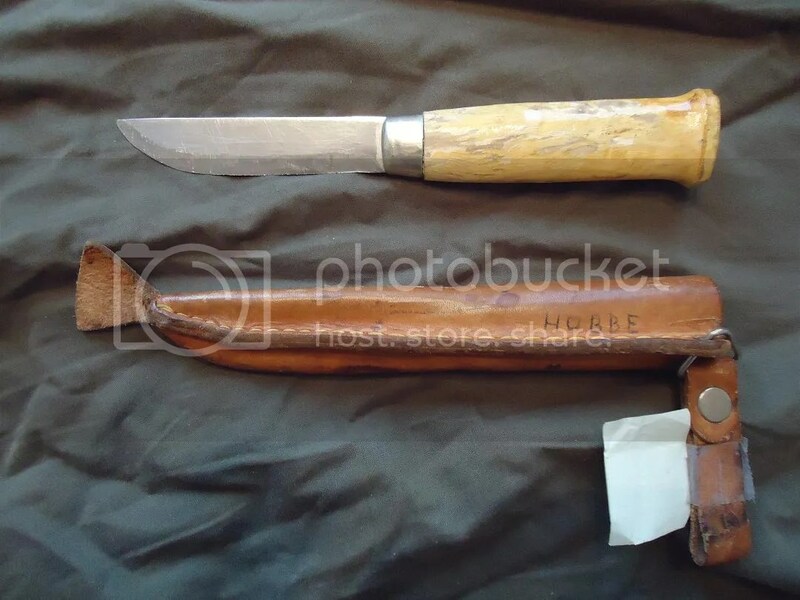 The varnish had cracked and fallen off parts of the handle, and the blade…oh, the blade… Sadly, it looked like someone had taken some kind of rough grinder to it, leaving it with more of a dull saw edge than a knife edge (really). Some of the grind marks were so deep that I didn’t remove them completely, as I’d have to remove too much metal to do so. Over time, these marks will disappear with repeated normal sharpening. Also, there was a bit of paint (?) on the blade. 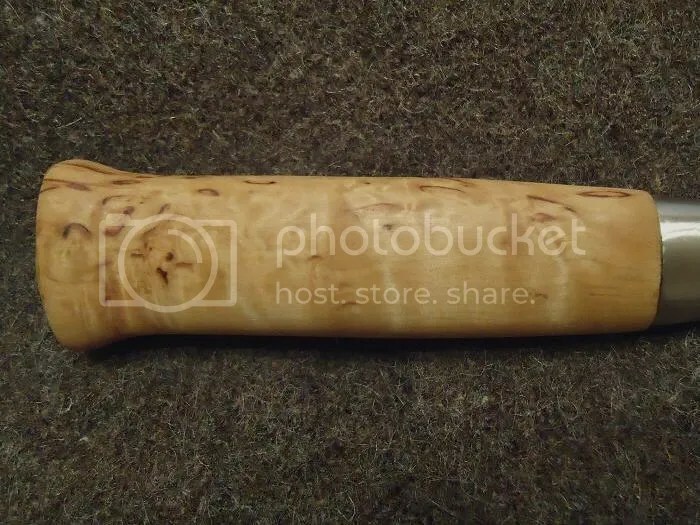 As for the sheath, it was in pretty good shape, mainly showing signs of normal wear and tear, though there were a few small slits in the belt loop/dangler. Shoe polish and teak oil on a sheath?! I realize some of my methods are a bit unorthodox (i.e. amateurish), but I never claimed to be a professional knife restorer. 😉 I tend to experiment a lot and just use stuff I have on hand. 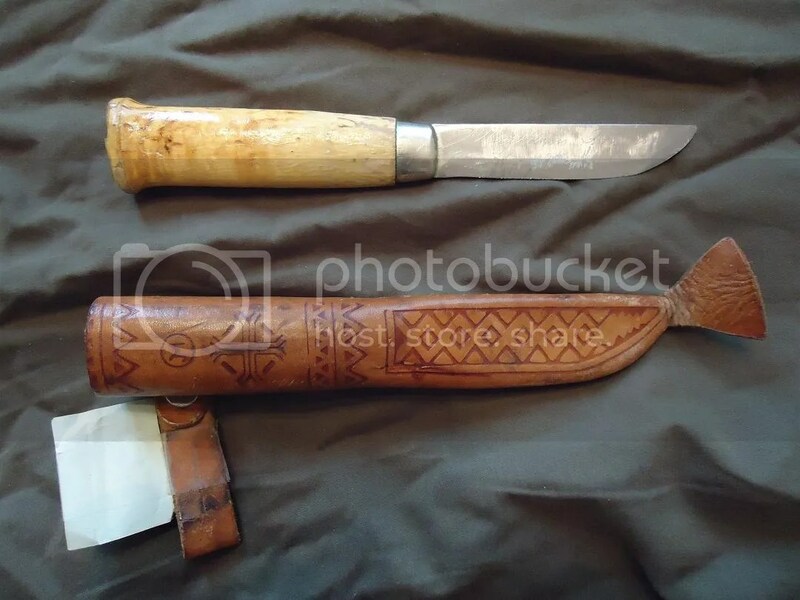 Luckily, the end product usually ends up being OK. By the way, the teak oil hardens up the leather nicely, protecting it from the knife blade (there is no insert inside the sheath). 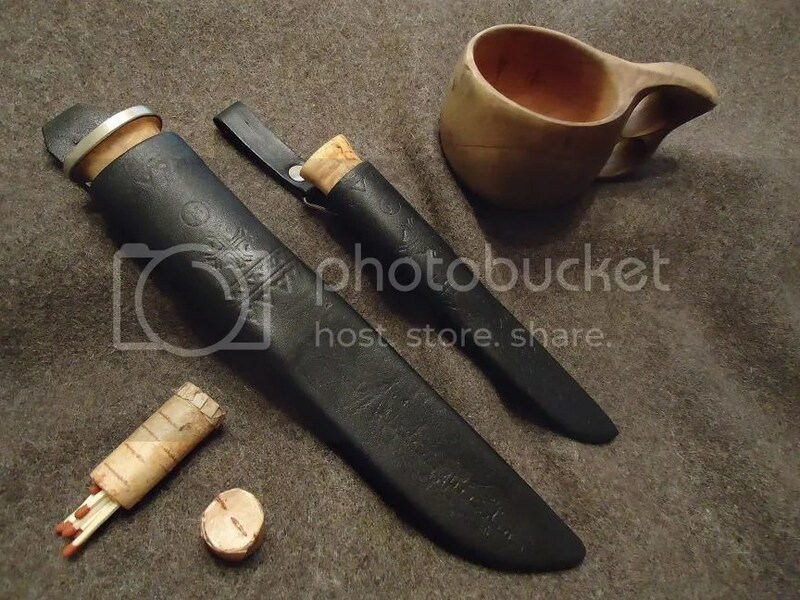 Speaking of going back and finishing jobs properly, I realized that I had done a bit of a halfhearted rush job on the blade of the leuku knife I fixed up last year. I left a lot of the previous owner’s grinding marks on the blade and only “polished” it down to 240 grit sandpaper. Looking back, I feel it was pretty amateurish and did not look very good. Wanting to correct that, I spent some time polishing the blade with sandpaper down to 1,000 grit. Again, I’ll probably go to a finer grit with this knife as well at some point, but for now it’s OK.
I’m looking forward to wearing this set on my belt on upcoming outings as an occasional alternative to my BushProwler knife. It’ll easily handle light wood prep for small cooking fires as well as all sorts of projects using wood and other materials. 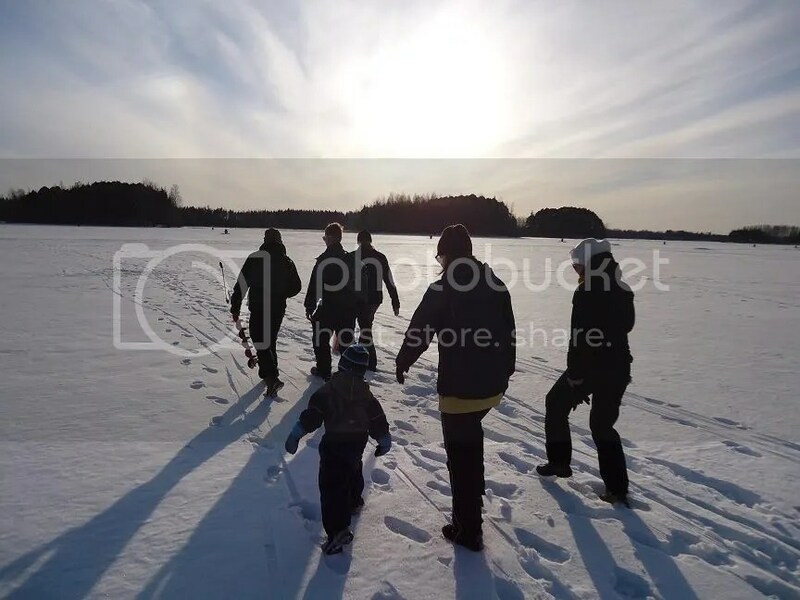 I’ve been extremely busy lately due to work and preparing for our upcoming move, but I wanted to take some time out to give you guys a quick peek at our little ice-fishing trip from Easter weekend. 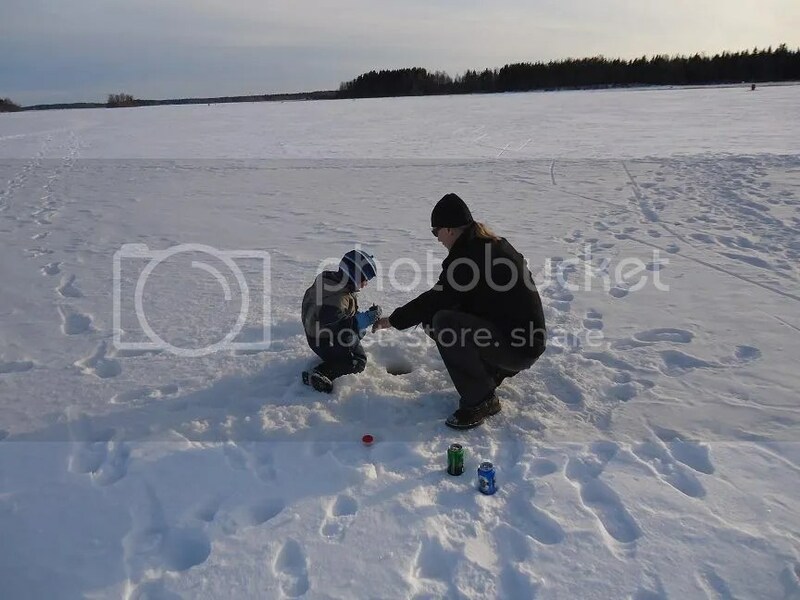 Every Easter, we go out on the lake at my in-laws’ house to see how the fish are biting. This year, our group included me, the Woodsbabe, the Woodsboy, the Woodsbabe’s brothers and some of their friends and girlfriends. The Woodsboy took it upon himself to check out the equipment, making sure it was in fine working order. The brothers set up a little ways away. He made sure to visit all the other anglers as well. 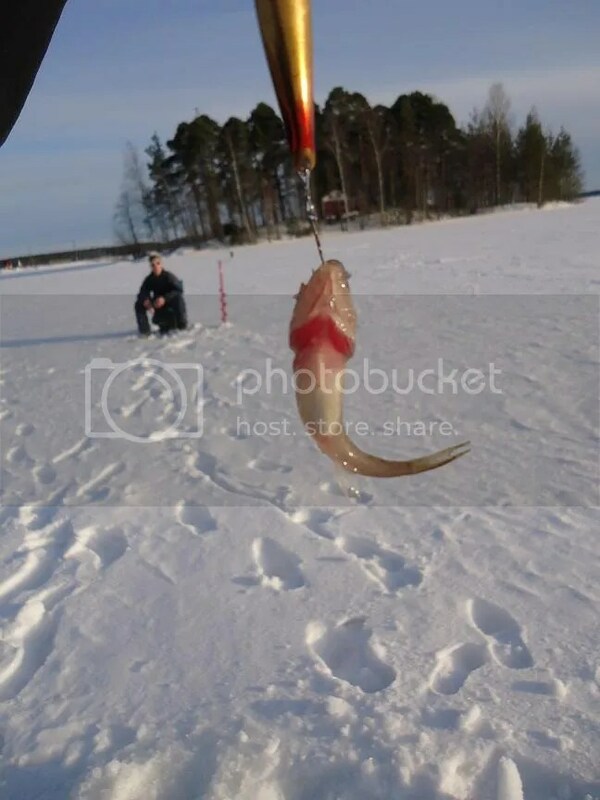 One brother caught this little guy. I can’t remember what kind of fish they said it was. 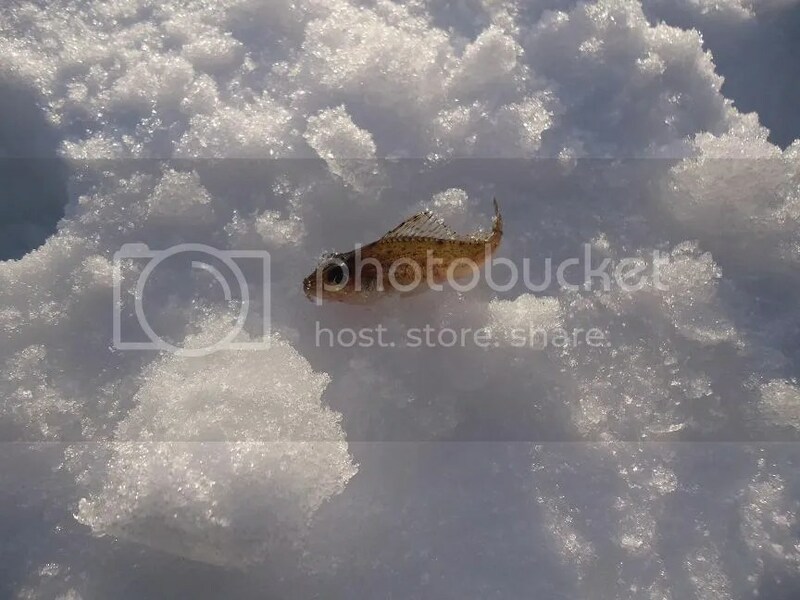 Update: Scandic Woodsman has identified this fish as “kiiski”, or Eurasian ruffe. Thanks SW! 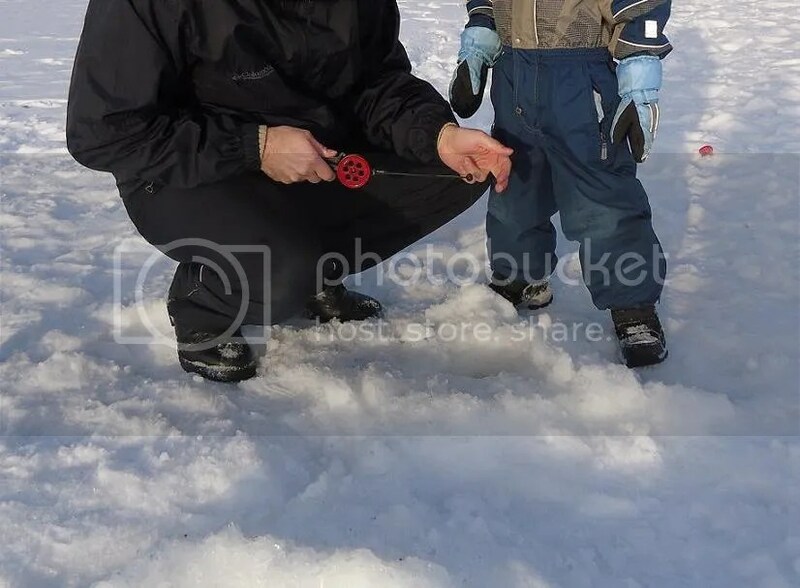 Here’s the Woodsboy helping to cut a fresh hole in the ice with his uncle. 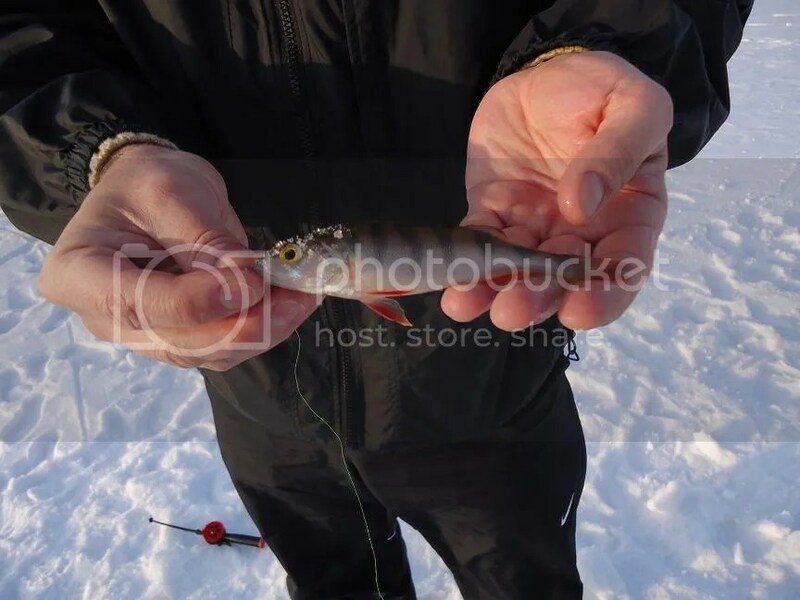 After a long wait with no bites, I finally hooked this little perch. 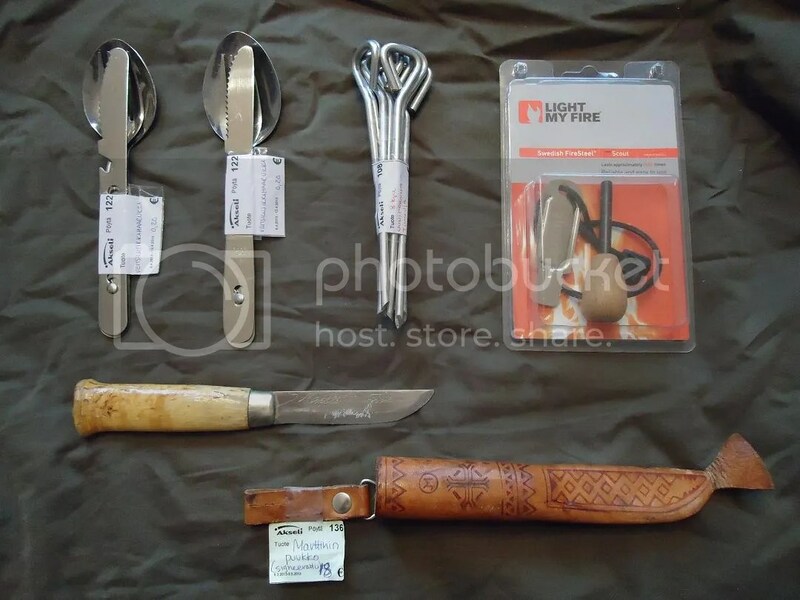 The utensil sets will probably go to the Woodsbabe and Woodsboy, and the tent pegs will replace the thin and weak ones I’ve been using. The fire steel will accompany my BushProwler knife in place of the plastic-handled one I have on it now. The pièce de résistance, i.e. 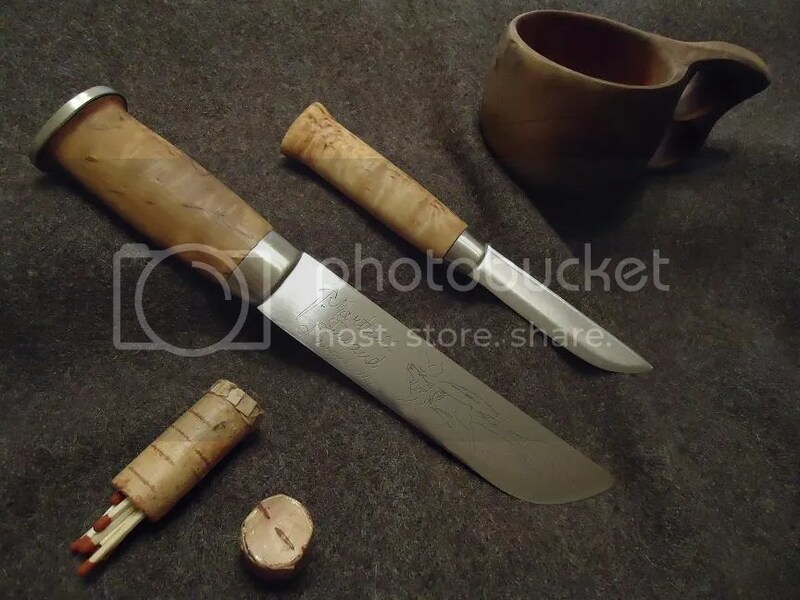 the leuku-style puukko knife made by Marttiini in the 70s, will soon be subjected to an extreme makeover by your’s truly. The plan is to restore it to match the leuku I fixed up last May. It should serve nicely as a small companion knife to the leuku, and the fact that they’re both from the same manufacturer and time period is a nice bonus. 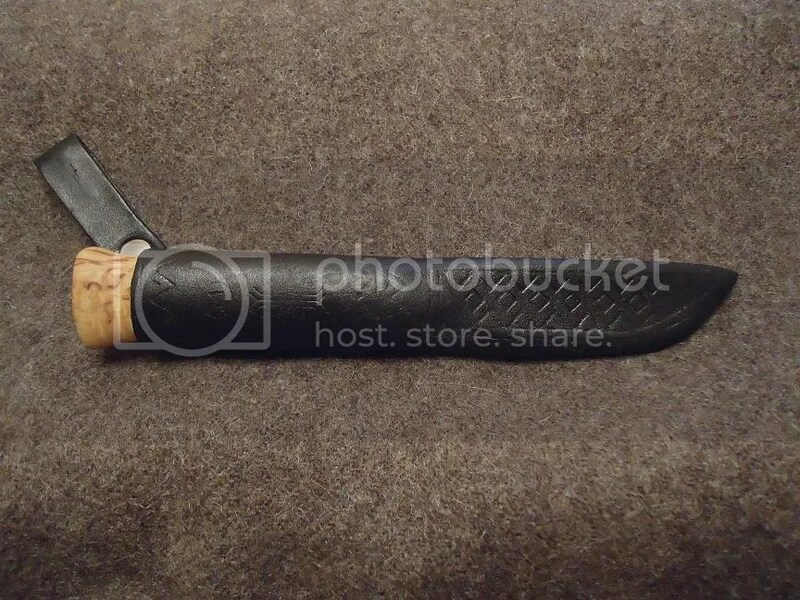 I noticed that the pommel cap is missing from the puukko, so I’ll have to pick one up the next time I’m at an outdoor/knife show. 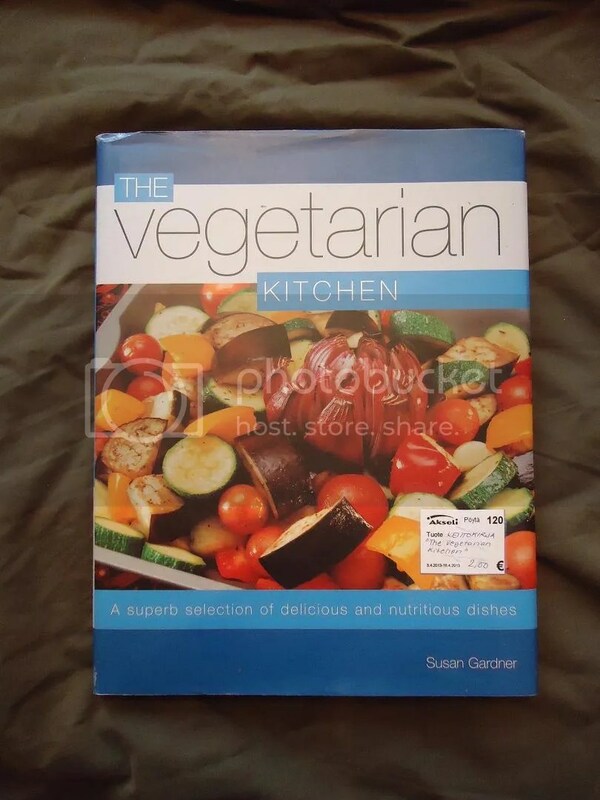 The last thing I picked up, which isn’t exactly an outdoor item, is a vegetarian cookbook. Now, I’m not a vegetarian by any stretch, but I am keen on expanding my culinary repertoire, so for only €2.00/$2.60, I couldn’t pass it up (if the dishes really need it, I’ll just add meat ;)). 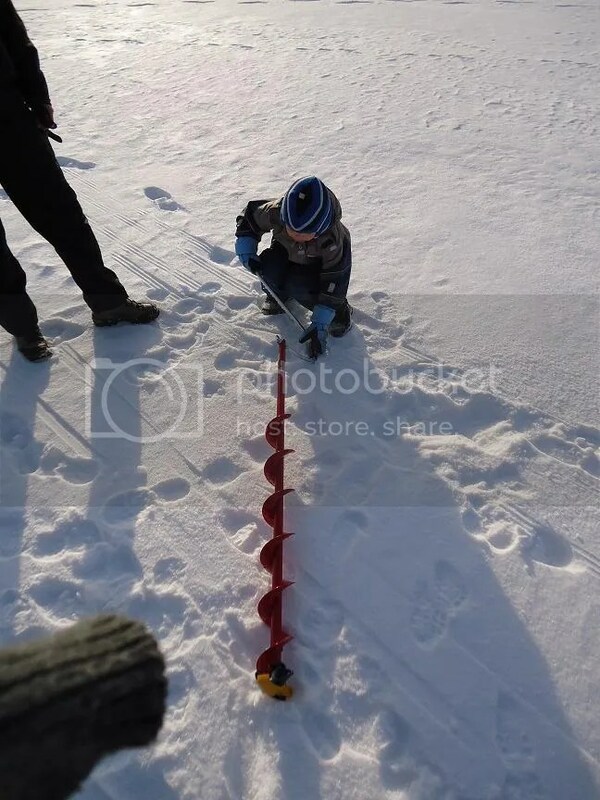 Stay tuned for a late-winter ice-fishing trip with the extended Woodsfamily!